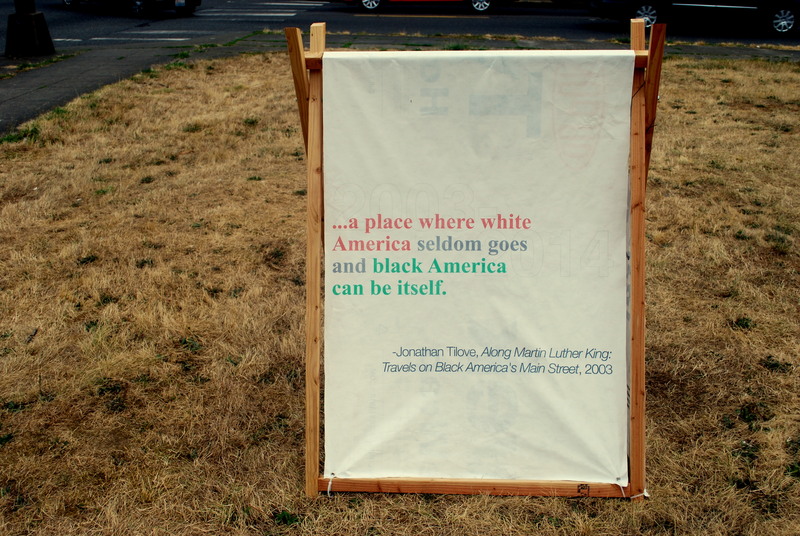 MLK: Travels on Black America’s Main Street. The second question [“Are there any nice ones?”] has become more nettlesome as time has gone on. The implication of this question is that the streets might do more honor to King is they were nicer, a point of view expressed even by many folks on King. But why? If we wanted nice we could have undertaken a journey along Pleasant Street. Gentrification is about making a street “nice.” King’s life was not. But this ghetto in this, one of America’s whitest big cities, would be laughed out of any serious national competition. Too leafy. Too ruly. And these days, yesterday’s ghetto is today’s good investment. Property values are rising. Yes, [O.B.] 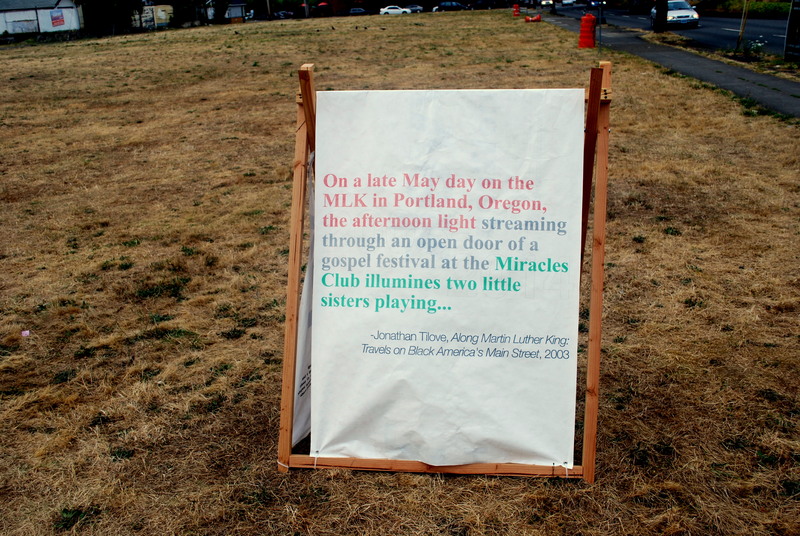 Hill says, Portland’s MLK is changing. “If people cannot afford to stay, they leave.” And, he continues, “Wherever they are moving to, you can rest assured that there are people moving out as they move in, ’cause that’s the nature of this game. Once black people begin to move into a community, white people exit it. Spreading Rumors is a series of projects, a group of people, working on ways to distribute ideas in our changing cities. There are many more of these shapes around town, made by people who are asking questions about private property, public spaces, and development. Previous Post Flight Saturday: An International Journey. 9/23, Local. Next Post Hands Up Don’t Shoot , on Martin Luther King, Jr. Boulevard. This is an excellent follow-up//complimentary photo-blog post about a parallel street to N. Williams Ave. (Portland), both literally and figuratively. MLK in Motion is a blog that is proactively tracking the rapid changes on the boulevard. Same story, different street.